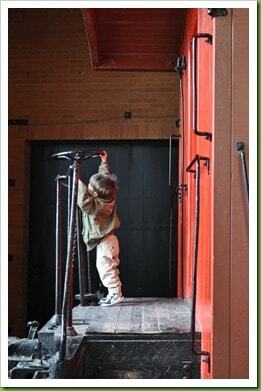 My son Gordie loves trains. 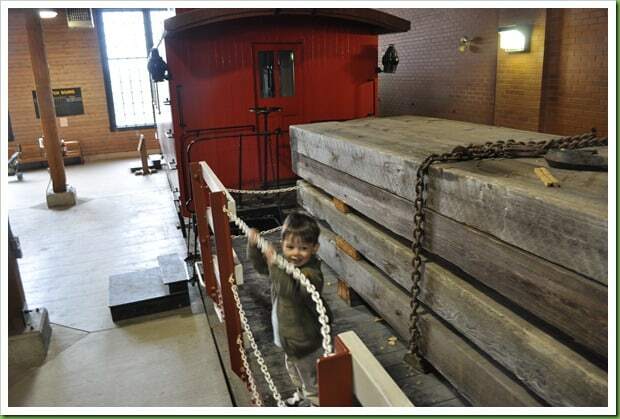 One day he asked to go to a train museum but Calgary doesn’t really have one. 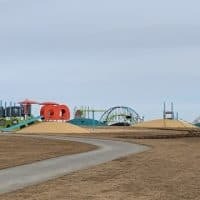 Heritage park is the next best thing inside the city limits. 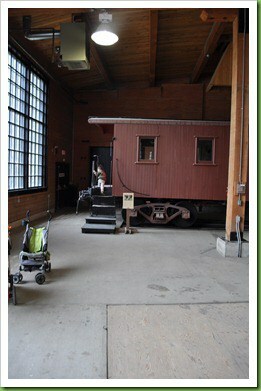 I knew that Heritage Park had things my little train fan would love, but I was surprised with just how much there was. 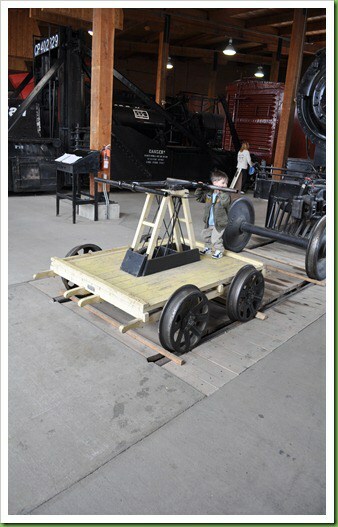 The highlight is the steam engine itself. The train stops at 3 stations around the park but it doesn’t stop at each stop every time it goes around the loop. There is a train schedule posted at each station. If it’s not too long to the next train when you get there, it’s a great way to start your visit and get an overview of the park. 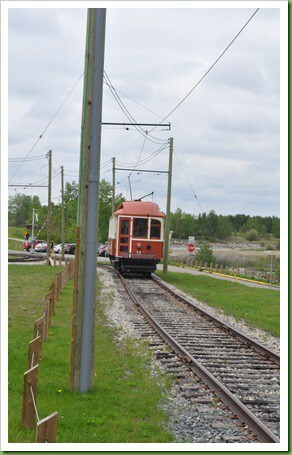 In addition, there is a street car (or tram) that runs in the summer and on weekends that you can ride from the back of the parking lot to the front gate. 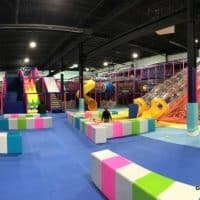 It’s included with annual passes or it is $1 per person. Unfortunately, strollers and wheelchairs cannot be accommodated on the street car. 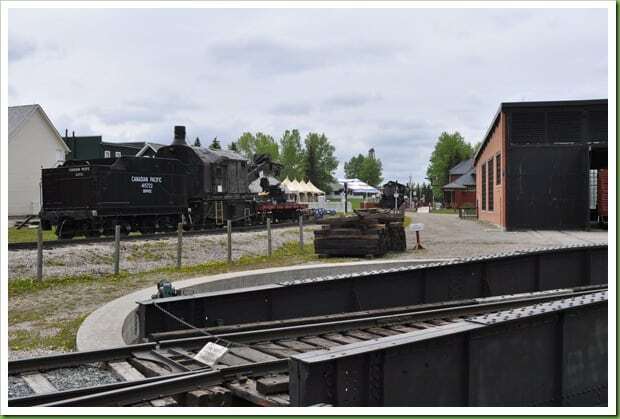 At the back of the park there’s a train shed/roundhouse with different train cars that you can look at right up close and walk on too including a caboose and a snow plow. I also found that this was a great place to nurse my baby. There were seats with backs and it was fairly quiet. Along the side of the shed there are some other train cars that you can see including a crane car. At the back of the train shed/roundhouse there’s a train turntable and a pathway that leads to the Railway Car Shop. 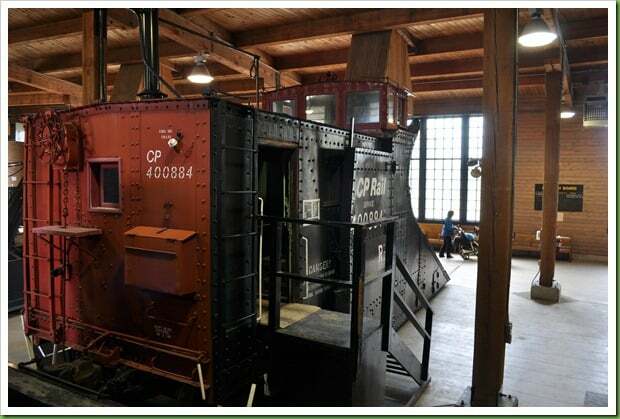 In the Railway Car Shop you’ll find old CP passenger train cars that have had varying degrees of restoration. 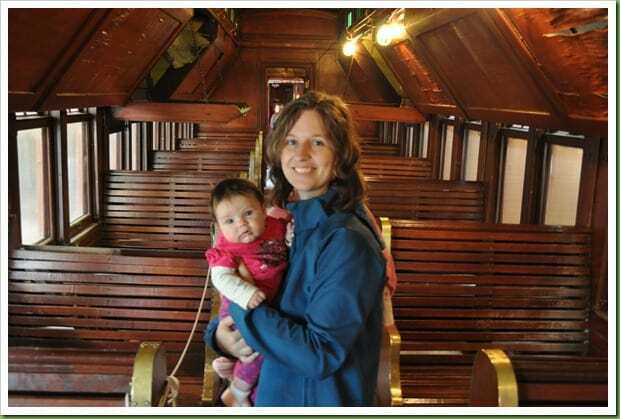 They have guided tours of the train cars or you can walk along through them at your own pace. We didn’t wait for a tour and that was probably for the best. 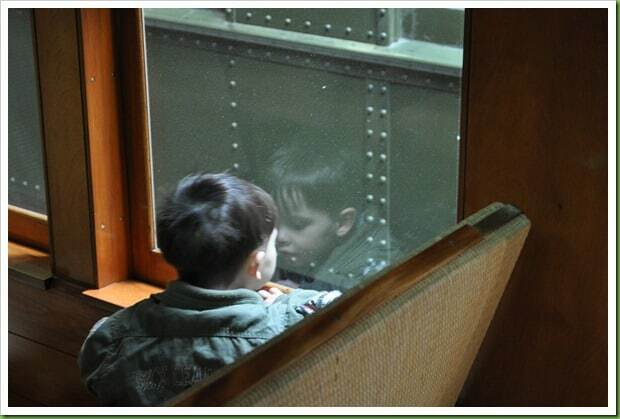 My son loved looking at and being in the train cars but didn’t really want to wait around. There’s also some additional train cars that you can see around the park including one right at the front gate. 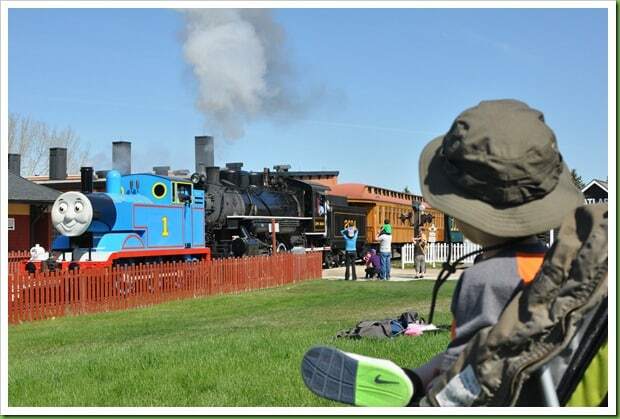 Each year, Heritage Park also hosts “Day Out With Thomas”. This year it was held over two weekends in May. Admission for this event is not included with an annual pass. 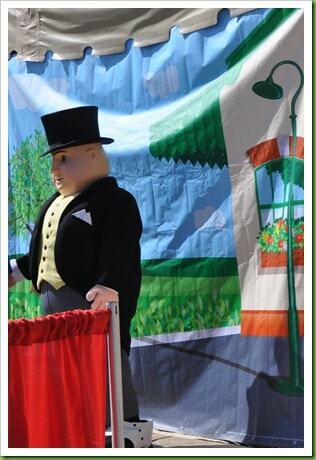 When you purchase tickets, you get a ride on the train ‘pulled’ by Thomas. Your tickets have a specific time and you’ll go 3 times around the track. 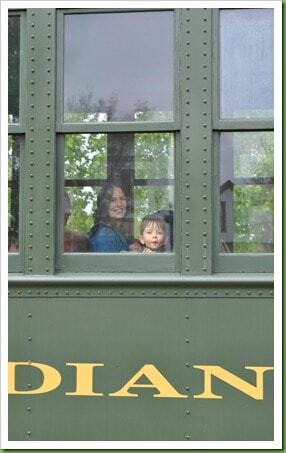 If you don’t want to ride on the train you can purchase admission at a reduced rate. 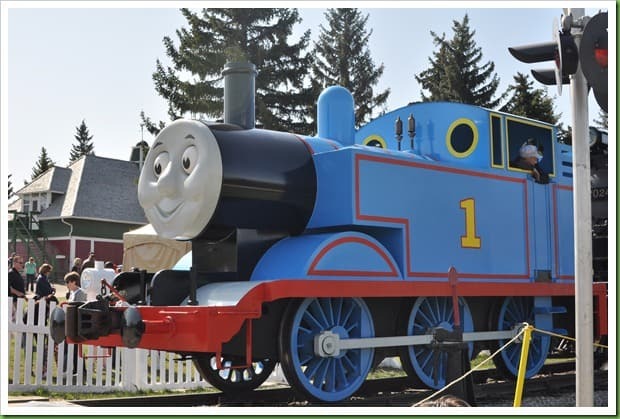 You can also get your photo taken with Thomas while he is stopped at the station and with Sir Topham Hat (you can either take these yourself or get them done by a professional photographer on site. There are tents set up near the back of the park. 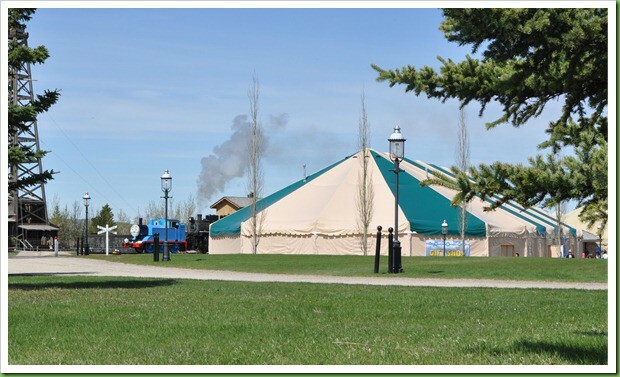 One of the tents has Thomas Merchandise for sale and the other has free activities and events such as Thomas coloring pages, temporary Thomas tattoos, face painting, live entertainment, story telling and a video. 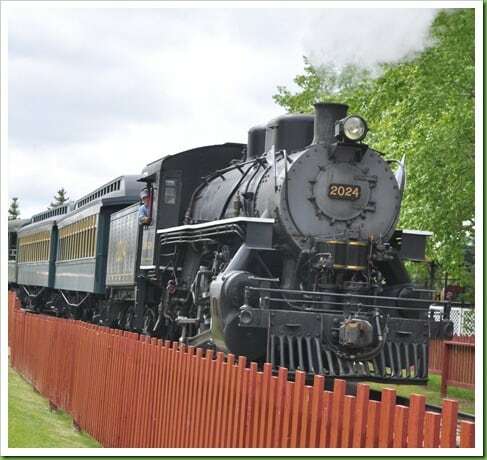 There is also some small mazes set up, wagon rides, midway rides and a display by the Rocky Mountain Garden Railroaders. A number of different venues are also open where you can purchase lunch or snacks. 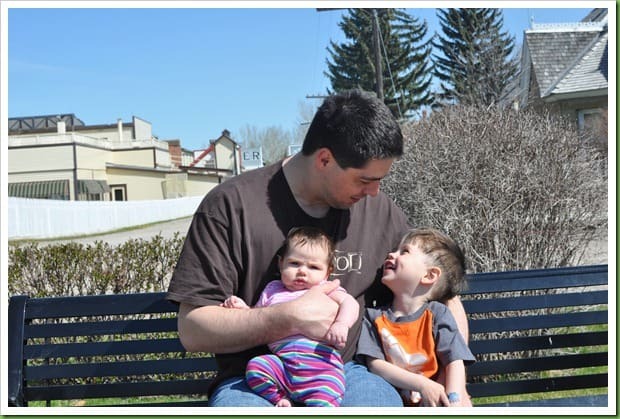 We had a good time this year at Day Out With Thomas, but I’m not sure if my son didn’t enjoy Heritage Park just as much when Thomas wasn’t there. Regardless, as you can see from the picture below, he had a ton of fun. 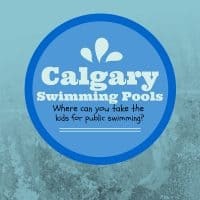 Have you been to Heritage Park? 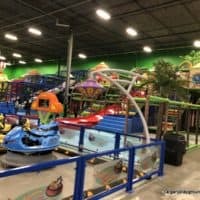 What’s your family’s favorite part?